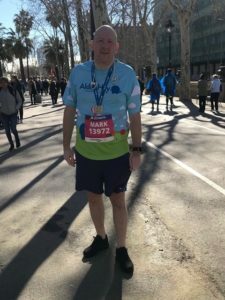 Venalink’s colleagues, friends and family travelled to Barcelona in February 2018 – joining Spanish colleagues to run the Barcelona half marathon. 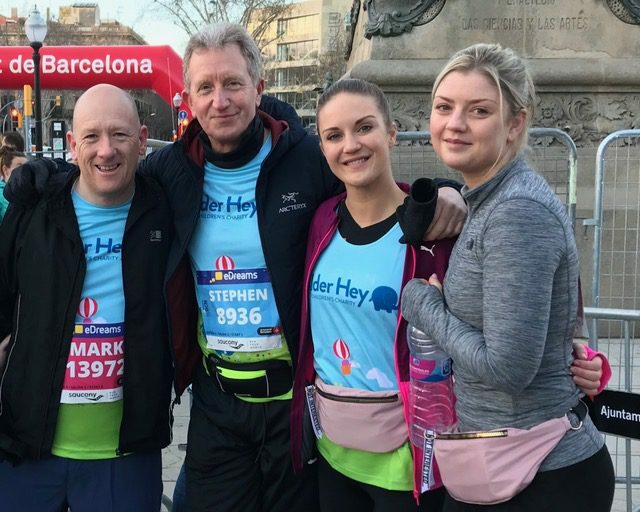 Each year Venalink choose an event and charity to support and this year the Venalink Team ran in aid of Alder Hey Children’s Hospital – a cause close to many of the Team’s heart. “On the day the weather was kind to us, with very little wind and a mild day. Four of us ran in the event with a support team of around the same number. 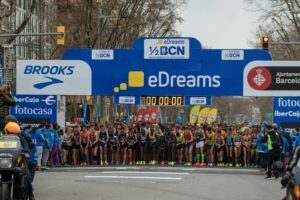 The course was challenging but with 17,000 runners alongside us and a great cause to run for, our motivation was high. Having completed the event within 2 hours 15 mins as planned all four of our finely-tuned athletes are now winding their training down as those aching limbs recover! We, through you, managed to raise over £2,000. A Great result! That money will be going to Alder Hey Children’s Charity to support the pioneering work that goes on there, treating childhood disease and improving the quality of life of children worldwide. You can donate through our just giving page www.justgiving.com/venalink.